A review of this event can be found at the Birkbeck Events Blog. 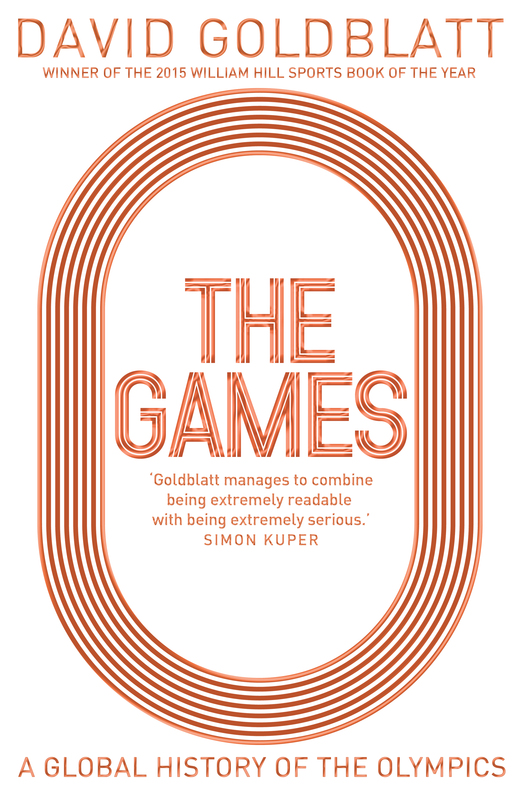 In this presentation, the author and journalist David Goldblatt – winner of the 2015 William Hill Sports Book of the Year Award – draws on material from his critically acclaimed book The Games: A Global History of the Olympics, to investigate the critical events and movements that have driven the Olympic Games to become, along with the FIFA World Cup, the world’s pre-eminent sporting event. The Olympic Games have become the single greatest festival of a universal and cosmopolitan humanity. Seventeen days of sporting competition watched and followed on every continent and in every country on the planet. Yet when the modern games were inaugurated in Athens in 1896, the founders thought them a ‘display of manly virtue’, an athletic celebration of the kind of amateur gentleman that would rule the world. How was such a ritual invented? Why did they prosper and how has it been so utterly transformed? Beginning with the Olympics as a sporting side show at the great World Fairs of the Belle Époque and their transformation into a global media spectacular care of Hollywood and the Nazi Party, David illustrates how sport and the Olympics have been a battlefield in the global cold war, a defining moment for our epoch of social and economic change in host cities and countries, and a theatre of resistance for women and athletes of colour once excluded from the show. He demonstrates how the sporting spectacle has come to reflect the world we hope to inhabit and the one we actually live in. Goldblatt, D. (2016). The Games: A Global History of the Olympics. Palgrave-MacMillan. David Goldblatt is the author of The Ball Is Round: A Global History of Football (Penguin, 2007), the definitive historical account of the world’s game, Futebol Nation (Penguin, 2014), a highly acclaimed footballing history of Brazil, and The Game of our Lives: The Making and Meaning of English Football (Penguin, 2014) winner of the 2015 William Hill Sportsbook Award. For a number of years he wrote a sports column in Prospect magazine and has made a number of documentaries for BBC Radio 4 and for the BBC World Service, including ones on football in Jerusalem and the politics of the game in Kenya. He is currently writing for The Guardian, The Observer and The New York Times. In 2015 he won the Foreign Media Association Sports Story of the Year for “The Murderers Who Play For Manchester United”, a Guardian long read on the football league inside Uganda’s high security prison. He has also taught the sociology of sport at the University of Bristol, is an Honorary Fellow of the ICHCS at De Montfort University, Leicester, and a visiting professor at Pitzer College, Los Angeles. He lives in Bristol.